What is Smart Social Trading? Smart Social Trading is the leading online and mobile Social Trading platform. It enables investors to select from a range of 300+ strategy providers to copy from. Start to replicate their trades automatically in your own trading account. Our unique platform allows you to limit your losses, while at the same time gives you full control of your portfolio as trades will be copied either proportionally or according to your personal settings. A global network of more than 300+ strategy providers to choose from. Many trade & risk allocation methods to choose from compared to other copy trading platforms. Ability to set the ratio between your account & strategy provider, so that you can automatically adjust the risk & size of lots traded based on your capital. Ability to set your own acceptable maximum loss as well as take profit. Fast deposit & withdrawal using many different options. Dedicated support to help answer all your questions. The Forex Market Review provides you with essential information for your next trade. 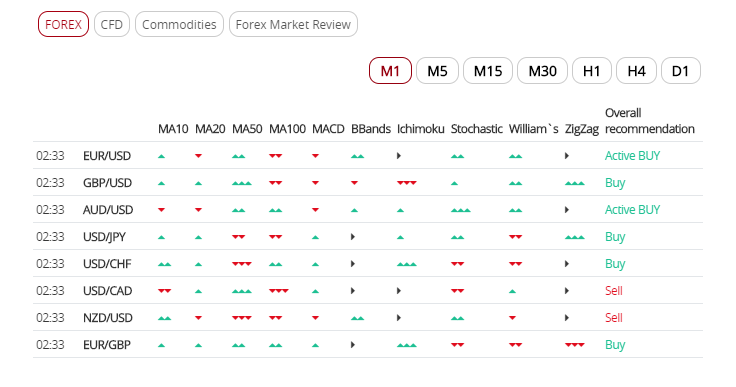 It allows you to keep track of current market sentiment across major instruments. To receive a 1 week free trial, click here and follow the registration steps. Trend-Catcher is one of most tested systems to define trends in the market. Trend-Catcher is a system that installs on your MT4 trading platform to help you identify the trends in the market. - Works on over 40 Forex pairs, Oil, and Gold. Traders have to switch between charts to monitor current situations, and analyze indicators. It takes a lot of time and effort, and sometimes results in mistakes and doubts. Due to their lack of knowledge, new traders tend to make more emotionally driven decisions which lead to rapid losses of money, which at times results in them disengaging from forex, and a decrease in trading activity is observed. We analyze the 10 most reliable technical indicators and traders can choose those which best suit their trading strategies. “Market sentiment” is a helpful addition to technical indicators. It shows whether short or long positions prevail on the market. Warning: The data/figures are historic and are not a reliable indicator of future performance. Past Performance is not an indicator of future results. Trading tips advise the trading strategies that should be taken based on our comprehensive analysis of indicators. Period is a tool used to choose a timeframe during which historical data is displayed. 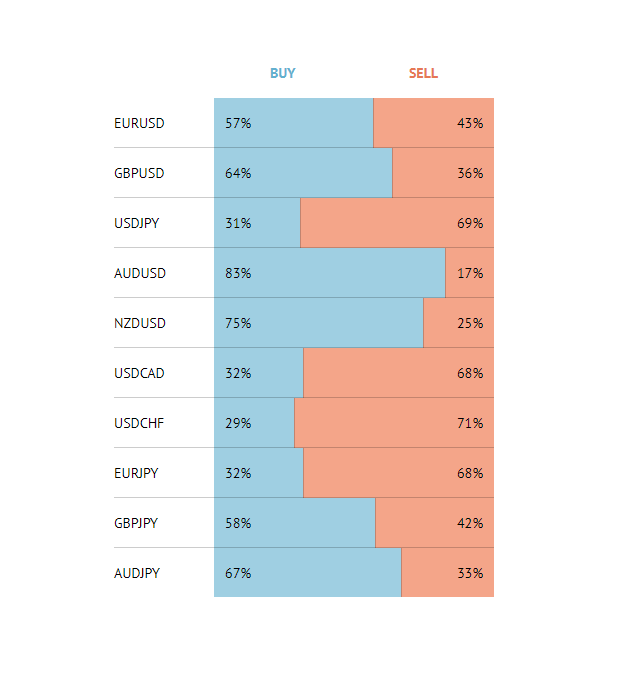 Market Sentiment indicates the percentage of long and short positions opened in various trading instruments. Volatility record is historical data on the price fluctuation rate of a financial instrument over various time periods. Range sets the number of weeks during which data is displayed.